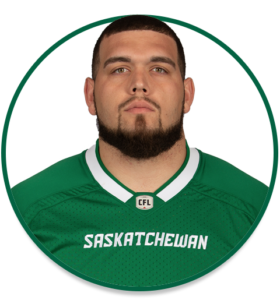 PRO: Signed with the Riders in May, 2017…selected by Saskatchewan in the 2nd round (11th overall) of the 2017 CFL Draft. 2018: Played 16 regular-season games, with 14 starts, at right guard…suffered a season ending knee injury in week 18. COLLEGE: Spent four seasons at Bethune-Cookman University (2012-15)…started 33 of 34 collegiate games while with the Wildcats…named to the 2015 SBN Black College All-America Team…named winner of the 2015 Larry Little Award as BCU’s offensive lineman of the year.